Paytm was the first payments wallet to mass market QR Code payments in India. By Nov 2016, within in a year of its launch, Paytm recorded 5 million transactions per day. Reportedly, they had about 850,000 merchants registered to accept such payments. Also Read: Paytm QR Code payments: How to send & receive money. On Nov 8, 2016, the Indian Government demonetized INR 500 and 1,000 currency notes. This move was to encourage people to transition to cashless payments. The QR Code payments sector saw a surge in entry of existing payments players like Freecharge and Mobikwik. Established payment processing companies and banks such as Visa (via mVisa), MasterCard (via MasterPass QR), and State Bank of India (via Anywhere app) also joined the list. The entry of so many players in QR Code payments in India gave rise to a major challenge. Now merchants will need to display a unique QR Code of each payments provider. This can not only lead to confusion amongst consumers but also eat up display space of merchants. In Dec 2016, Piyush Goyal, Minister of State for Power, Coal and Renewable Energy, lead talks with payment processing companies, banks, and Govt. officials. 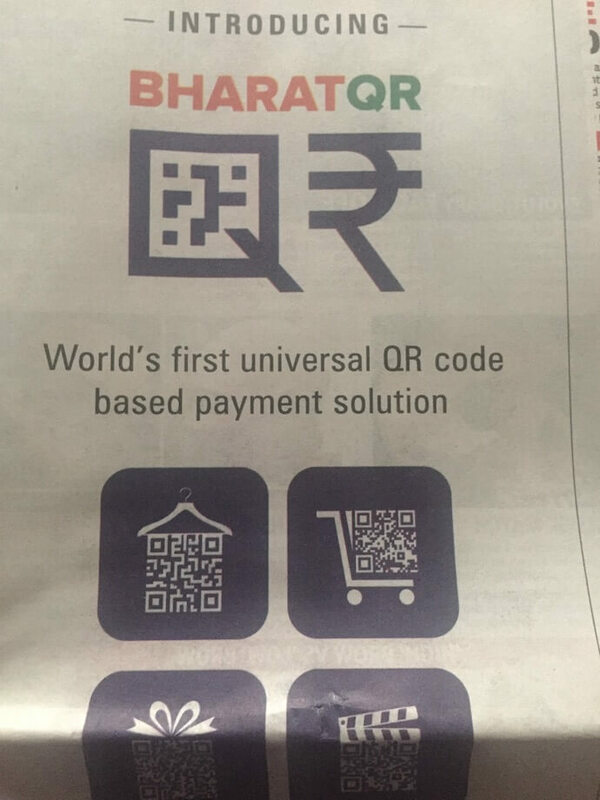 Bharat QR is a common merchant QR Code that will be valid across payment processing companies—MasterCard, Visa, and RuPay. How does Bharat QR work? Note: Customers with any bank account can transfer money, provided, both they and the merchant use Visa, MasterCard or RuPay apps. Also see how TATA Sky helps people recharge their DTH from their TV screens. 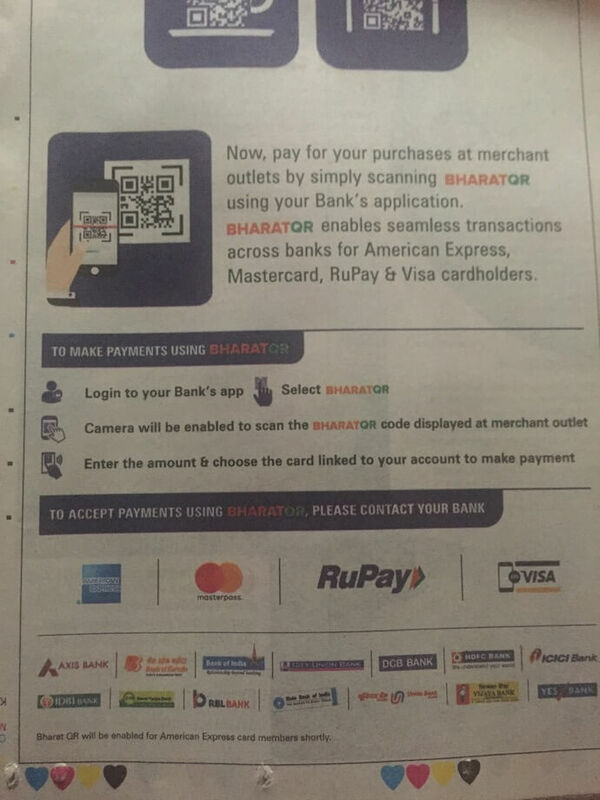 The launch of Bharat QR, and the BHIM app shows how India has embraced QR Code payments with open arms. QR Code payments are easy to make and secure. So they’re seeing a lot of traction in India. In 2018, Delhi Metro’s IGI station started using QR Code to help passengers pay for their journey. What do you think of this initiative? Share your thoughts in the comments section below.